ADS 2019 Visual Novel Massive Sale! To start the year off, we decided to do a massive sale on everything. You can get our games for up to 60% off, so make sure to get it while you can! First off, I want to announce that we have added a store component and Eight’s new design into the next update of #TTEOTS. Think of it as a small in between update with bug fixes, the store and new art. It may not yet be available for your platform yet, as we’ve started pushing it in phases. I am going to slow down ADS game development to allow us to focus on other things, like just being a healthy, happy human and spending time with our loved ones. I am going to continue To the Edge of Sky indefinitely now. We are going to take the necessary time to complete and finish Echoes. Many delays came up with that team, and I cannot predict a release date fully beyond before the end of this year. But the project is about 80% finished. We are still going to fulfill all our rewards obligations. The plan is to do so by the end of this year so we can start the new year fresh. The obligations we've made to our fans and the fans who have supported us weighs heavily on our minds. That is why we have been tirelessly working throughout the years, nonstop. For survival, but also to fulfill those obligations to the fans. I understood that my personal life should not slow down or affect the work I do. But unfortunately I am only human, and stress does take its toll. I want to keep creating, but I know we need to do it in a different way. It is thanks to you all that I think we can finally slow down a bit. We've been spending the money we got by putting it right back into development. This has been such a draining way to live, and it's difficult to get to a comfortable stable place as a company. I want to change all of that. I know that true fans won't want us to be unhappy and unhealthy. I need to focus on getting things to a more stable place in order to be able to create works from a better place. But it will take some time to see the fruits of these labors. It was because of Echoes push backs that were often due to illness, family death, travel, etc, that I realized that we can't continue on like this forever. Life happens. It gets in the way of art and creating. Without placing blame, I can say it also puts stress on me trying to make people do more than they mentally or physically can within time frames. We need more time for life to happen to us. We deserve to live outside of our games as well, and to live healthily. So I want to create a better work-life balance for all of those who work with us. And there is a solo creative project I’m excited to start for myself as I continue TTEOTS indefinitely. The benefit of this decision, is that I’m able to work on more than one project now. Please find the updated release schedule below. NOTE: All dates and information is subject to change without notice. Development schedule shown is released only as a courtesy estimates, not a binding agreement. If you have any questions about anything, please contact us directly at team@aeondreamstudios.com. Mystic Destinies: Echoes Writer Egle Dilyte talks returning character, Iulius Caro, an antagonist in Mystic Destinies: Serendipity of Aeons, now protagonist of MDE. Mystic Destinies: Echoes Writer Jacqueline Rivera talks Katsunosuki Kaseima, ex-leader of the Ryu clan. Mystic Destinies: Echoes Writer Jacqueline Rivera talks MDE main protagonist, Aurelia. 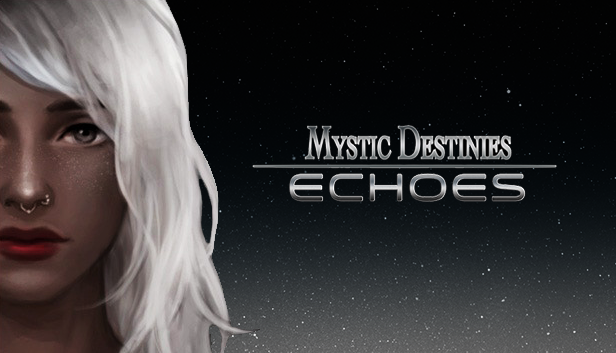 Mystic Destinies: Echoes Writer Egle Dilyte talks new character and MDE protagonist, Pax.